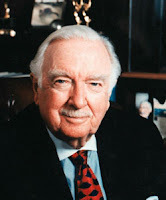 Walter Cronkite once said, "In seeking truth you have to get both sides of the story." To all at the Huffington Post: Welcome to Canada. While I suspect many in the Canadian media will be less than overjoyed with your arrival, I'm thrilled. You'll give your editors, journalists, and bloggers the freedom to do in-depth reporting and encourage them to follow stories of importance to their end. This is not often the case in Canada. For instance, much of the Canadian press establishment has either completely ignored or only touched the surface of the 'Lost Canadian' story before dropping it. Click here to read the original article on the HuffPost Canada website. How can I say that? Well, have you heard of the 'Lost Canadians'? If not, why not? How could somewhere between 750,000 and one million Canadians -- average people just like you and me -- have been stripped of their citizenship, with the public barely aware of it? In contrast, we Canadians know all about Lindsay Lohan and Charlie Sheen. Real news often gets overshadowed by fluff. Maybe it's because the bottom line really has become the bottom line: true journalism -- that of Murrow, Woodward and Bernstein, and Cronkite -- is both time-consuming and expensive. In coming weeks, I'll explain the 12 distinct ways Canadians have lost -- and some could still lose -- their citizenship. You'll find that not all Canadians enjoy equal rights, and that the Harper government still actively discriminates by letting archaic gender and age-based provisions of our citizenship law continue. It matters not that a person was born in Canada, or grew-up, married, had a family, voted, paid taxes, held a passport, and lived their whole life as a Canadian; according to the Harper government, such a person might still not really be Canadian. Did you know that if you were born prior to 1947 you can be stripped of your rightful citizenship just for being born in wedlock, or conversely, out-of wedlock? (Yes, it really is as stupid as it sounds.) Could you be the next person to have your citizenship or OAP denied? Or could it happen to a relative, a friend, your neighbor? The ongoing story of the 'Lost Canadians' is not just bizarre, it's true... and regrettably, it's so, so... Canadian! So, welcome, HuffPost. How very refreshing it is that you've arrived in Canada.